Make your casual look more fun and flirty with this white blouse. 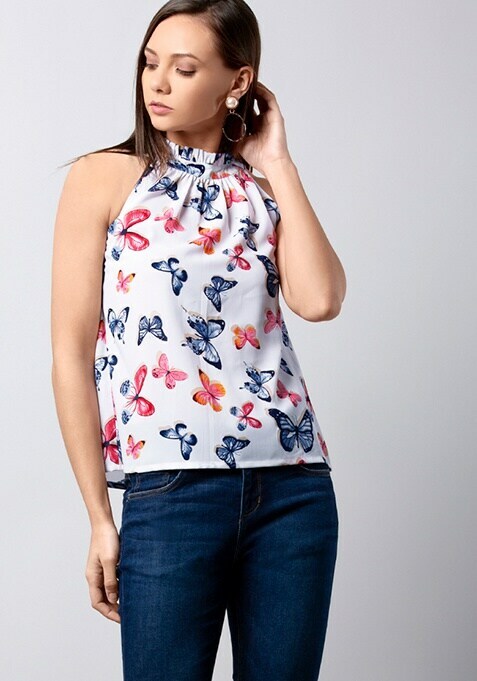 Featuring butterfly print, this top has a frill neck and a sleeveless silhouette. Work It: Style this top with skinny jeans and smart heels to look stunning.